Dartmouth admissions must reach out to underserved groups. There’s no better place to do that than Portland, Maine, where there is a lot recent immigrants or refugees. As an alumni interviewer, I met students who came to this country without the ability to speak English and lived in homes where English was not spoken. However, these individuals were so amazingly talented that they, in a matter of a few years, were able to produce standardized test scores in Dartmouth’s admissions range and excel in Advanced Placement courses. One even became the poet laureate of his highly regarded private school; this, without having spoken a word of English for the first part of his life. It was a truly humbling experience to interview these kids. In many ways, they were more accomplished at 18 than I was at 48. And, over something like a decade of interviewing prospective students, how many of these amazing talents were accepted? Not. A. Single. One. Now, I recognize that Dartmouth is incredibly competitive to get into, and wouldn’t expect all that much success. But when the only acceptances you get are for students of privilege — admittedly well-qualified and deserving ones — you start to wonder: what’s the goal of the admissions committee, and of the College? Last year, I decided I simply could not continue with the process of getting up the hopes of these exceptional students (and human beings) and then dashing them. I quit interviewing. Now, it’s easy to take this as an anecdotal situation; among other things, I may be lousy at conveying how wonderful a candidate is. But as I talked to my classmates who had been interviewing as well, I found a disturbing pattern. They all had similar experiences, and they all had quit as interviewers. Again, it’s still a small sample size — only four of us. So, I decided to look a little deeper: were we the problem? The results were even more disturbing than I’d thought. Dartmouth, which has the reputation for need-blind admissions, has the lowest percentage of students on financial aid of any of the Ivies. The College also has the highest percentage of students from the top one percent of Americans and third lowest percentage of students from the bottom 60 percent of the country in the Ivy League. The trend also seems to be accelerating, with the disparity between those two growing. On a positive note, ethnic diversity at Dartmouth has somewhat grown since my day, and that’s something to be proud of. But in a world of globalization, the differences between the wealthy of different countries is shrinking so that ostensible diversity may be masking a similarity of attitude. Persons of privilege, in my experience, tend to have more views in common than might be expected based on their ethnic backgrounds. So maybe we shouldn’t be patting ourselves on the back about diversity quite yet. This is difficult for me to write. I loved Dartmouth before I went, I loved my time there and I’ve loved and supported it ever since. However, I can’t blind myself to the question of what Dartmouth really is — what direction is it headed and was I just too numb to understand what the real status quo was way back when? 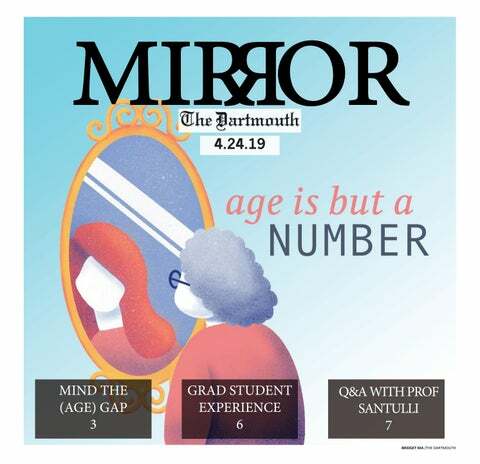 It’s a haunting question, but I do know this: what Dartmouth is today — and what the College’s mix of students is — is not what I want it to be. I want to be able to know that students from utterly disadvantaged backgrounds who have amazing talents can have the chance I had and bring that background and newfound knowledge to bear for the good of the world. That is the Dartmouth that I want to see, and interview for, in the future.